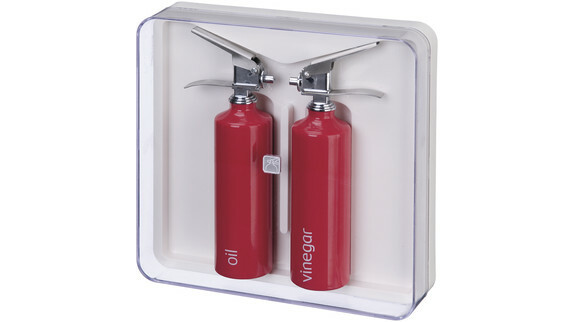 Oil & Vinegar Extinguisher Set. These two fire extinguishers will sprinkle your salads with the perfect amount of oil and vinegar. The set is packed in a high quality gift box. Aluminum.